Are you and your family struggling to pick a college? Having options is great but making a final choice is difficult. 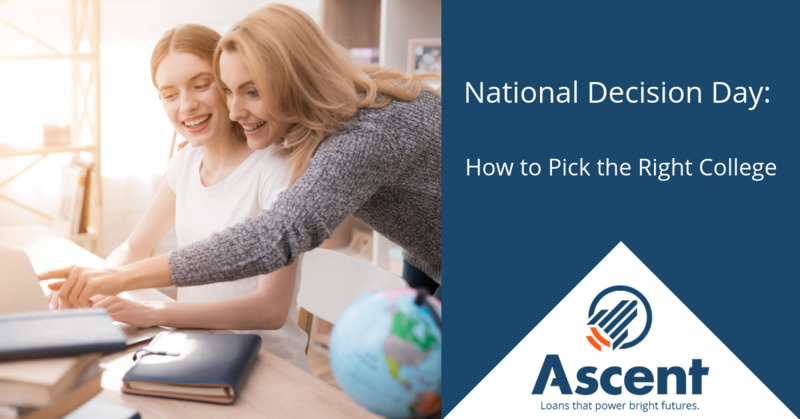 With National Decision Day right around the corner, we’re here to help give you some advice to ensure that you and your family makes a good choice. The deadline for making the first college deposit is rapidly coming due. The cost of college should be heavily weighed. Remember that “sticker price” doesn’t equal the net price! The “sticker price” is the advertised cost of a college. This takes into account tuition, room and board, and fees. The net price is what you will actually pay after financial aid. It’s very important for you and your family to compare apples to apples. Using an award letter comparison tool like the one offered by the CollegeBoard will be extremely helpful to estimate the gap between aid and the actual cost. It will allow you to input the costs of each school and the aid offered by each school to come up with the net price which will need to be satisfied. Just remember to multiply that net price number by four to estimate the cost of a traditional bachelor’s degree. 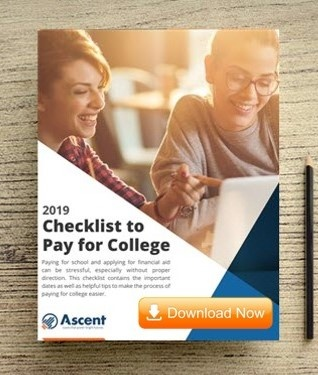 The highest sticker price school you and your family are considering can become the least expensive when it comes to out-of-pocket expenses after financial aid. Likewise, the lowest sticker price school may offer very little financial aid, making it more expensive comparably to others. By making this comparison, you will help your family understand their bottom line cost for college during and after school. College program offerings and post graduate job success should be one of the top factors considered when making an educated decision about which college to choose. Don’t just rely on what the admissions office is telling you during your campus tour. The U.S. Department of Education developed the College Scorecard tool to help you and your family objectively compare colleges. The Scorecard gives you all the pertinent details about the college such as size and location, average cost, graduation rate, and median salary 10 years after attending. The tool also lists all of the programs offered at the school as well as the top programs students enroll in. Using this tool with your family can be instrumental in helping you decide what college is the best option for you. Most colleges host an “Accepted Student Visit Day” in mid-April for those who are still undecided to tour their campus. Everyone is different, and especially in cases where you will be living on-campus, the type of school, location, culture, and size are imperative in the decision process. A student from a rural town may not be comfortable in an urban setting. A student from a graduating class of 1,000 may not feel comfortable at a college with class sizes of under 20 students. Is moving across the country going to be in your best interest? These are all questions that need to be considered when evaluating whether or not you and your family feels a college is a good overall fit. Be sure to ask yourself what your ideal college looks and feels like. Ask how yourself and your family feels about the distance from home. Using the College Scorecard can help evaluate the college options but making sure you and your family visit each school before making a decision is crucial. At the end of the day, you won’t know the feel of a school without actually stepping foot on campus. Even the most cost-effective and academically-matched school may not be the best option for you. You might have other priorities in the mix when deciding on a school, as well. Things like team allegiance or being at a competitive Division I school may be important. Other considerations may be where friends or family attended or even name recognition. Ultimately, all of your preferences should be part of the evaluation process, but make sure that the finances, academics, and overall fit aren’t lost in the shuffle!